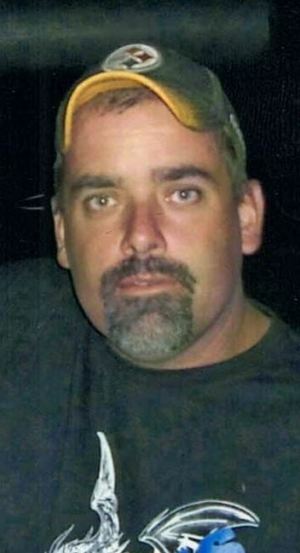 William “Bill” Clark, 46, entered eternal life on Monday, February 4, 2019, at his home. He was a Technician by trade and a member of Calvary Road Baptist Church in New Albany. Bill was a Little League Football coach at Silver Creek for many years and substitute teacher and bus driver for West Clark. He is survived by his loving wife, Jennifer Kleitz Clark, Sellersburg, parents, Paul and Glenda Clark, Sellersburg, sons, Jonathan (Paige) Clark, Bloomington, Timothy Clark, Sellersburg, mother and father-in-laws, Willie (Gayle) Nye, Clarksville, Michael (Becky) Kleitz, Greensburg, Kentucky, sister-in-laws, Rebecca (Eugene) Moreland, Lakeland, Florida, Sonya (Robert) Smothers, Charlestown, Sarah (Rick) Kleitz, Jeffersonville, brother-in-law, Mike (Dawn) Kleitz, Charlestown and several nieces and nephews. Funeral services will be held 1PM Friday at Calvary Road Baptist Church, 3795 St. Joseph Rd., New Albany, IN 47150 with burial to follow at Abundant Life Memorial Gardens. Visitation will be Thursday from 12-8PM at the church and anytime after 11AM until the time of service on Friday. There will be a meal prepared at the church immediately following the graveside service and everyone is welcome to join the family. Online condolences can be made at www.garrfuneralservices.com.